The game has a very cute art style and the setting has a very Harry Potter-ish air about it. It involves a magician cat who casts spells to defeat ghosts and other monsters. The most interesting part of this game is how the spells are being cast.It involves simple strokes using your mouse (or finger, if you’re on mobile) to match the symbols floating above the enemies. If an enemy reaches the heroine, she’ll lose a heart (out of a total of 5). You lose the game when all 5 hearts are lost. When all hearts are lost, you lose. There are a total of 5 levels, each can be beaten within a few minutes. At the end of your adventure, a score will be tallied to show how good you did. I myself scored 93,560. If you’re late to the party, fear not! 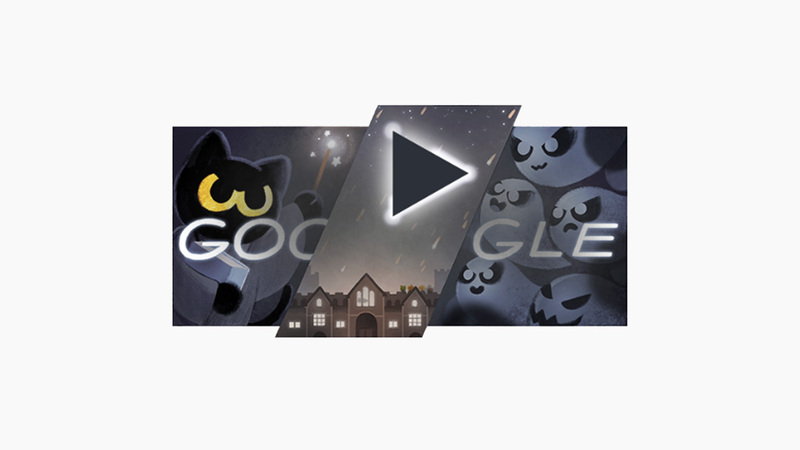 Google archives all their Doodles and you can still play it here. There’s no reason not to play it, even if it’s not Halloween anymore. The game is simple and well-made and was pretty viral when it first came out. Cheers to Google for Magic Cat Academy!